So that pretty much tosses away the mantra of Libs about the Second Amendment being only for hunting. Im a supporter of the 2ndA. I believe in Constitutional Carry. I also am an avid hunter, I shoot High Power,and other rifle comp. Calling a group of gun owners “Fudds”, is just as bad as some hunters saying there is no need for “assault weapons”. All gun owners need to stick together, there is no point in name calling. It puts a divide in 2nd Amend. supporters just like the in your face OCT group did with the rifles being carried in restaurants. We need to stick together to beat back attacks against the 2nd Amend, why be devicive. Those “Fudds” who hunt are a large block of gun owners. And what better reminder than the anti-gun crowd going after their non-protected hunting activities? I’m happy to stick together just like the next guy. But Fudds, by definition, aren’t on the side of gun rights. They’re on the side of protecting their duck guns. Oh, and getting those scary “assault rifles” and “cop-killer bullets” off the street. I know Fudds, I’m even related to some. 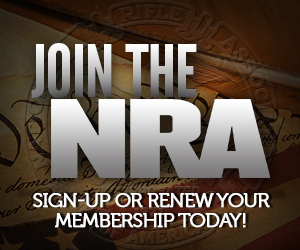 Perhaps it’s short-sighted, but I wouldn’t shed a tear if anti-gun groups took more interest in them. Maybe that’s what they need to wake the hell up. I definitely can’t disagree that hunters, and casual gun owner need to be woken up. Even the guys that are using muzzle loaders need to pay attn. All of us, who own firearms, no matter how many shots it holds or what it is used for, had better band together, and push back hard. “Fudd’s” are those who parrot the statement; “who needs an assault rifle for hunting,” because to them, their pappy’s old deer rifle or three-shot 12 gauge is all the gun a man or woman ever needs to have. Yes, the groups are divisive, because neither gives an inch to meet somewhere in the middle. They better change before it’s too late. I’ve overheard people at gun shows saying that “nobody needs” a silencer, and had my own family tell me that they should be illegal. Whenever met with this kind of ignorance, I tell them that sometimes people like to keep their hearing. You’d think even Fudds could appreciate that. I wanted to know why one guy, a former cop I know, wanted silencers outlawed. I asked for a specific reason, and all he could muster is that “they’re sneaky”. I asked how many times he had known of or heard about a silencer of any type being used in the commission of a crime. Zilch. But they’re sneaky. The only times he’d seen silencers used were in movies and TV shows, btw. Anyway, we were driving at the time and I was behind the wheel. When we came up behind cars at red lights I’d say things like “Ooh, let’s sneak up behind these guys car with our sneaky silenced car! Shhhh! Boo! Snuck right up on them!” And so on. I’d like to think he learned something from that, or at least being put on the spot for not being able to articulate why he thought silencers are so bad. Some countries actually require “sound moderators” for hunting due to noise pollution. Just think, how many less complaints there would be during hunting seasons if they were legal for use here. Why not advocate a diversity in the gun rights movement? You want to give up your first amendment rights for your second amendment rights? I guess if you’re approaching a political goal, there’s no need for democracy. If your speech attacks my liberty in a way calculated to move the government to act, then it is my opinion that it should be suppressed. The fundamental problem: Mrs dwb strongly supports a ban on Sunday hunting in the dwb household. Give them damn deer a chance to rest, she says. Don’t suppose it would do any good to explain to her that deer NEVER take a day off and rest? Some states really have some weird hunting laws. Tell the Mrs that you wouldn’t be hunting, per se, you’d be smiting the blasphemous deer that you find not resting on the Lord’s day. Today I learned that the second amendment does not protect the act of hunting with muskets. Good to know. Kind of also kills the “Sporting Purpose Test” idea too, doesn’t it? I mean if the second doesn’t protect guns specifically for hunting as has been asserted for decades, then that means it must protect military arms as “Militia” is a part of the 2nd Amendment, right? Does this give us a new decision to fight “Assault weapon” laws? Amen, Zemoid! I’ve been trying to make that case for years now! The Second Amendment is not about hunting or recreation (although the 9th may be); it’s about the people’s (i.e., every individual’s) right to bear military arms to protect the freedom of the States and their citizens from Federal tyranny. Period! Thank you for your comment, sir! I have mixed feelings on 7-day-a-week hunting on public lands. I am all for allowing Sunday hunting on private lands, but making *public* lands all-hunting-all-the-time impacts nonhunters too. For example, I enjoy mountain biking, and one of my favorite bits of local singletrack is in the Croatan National Forest in an area where hunting is allowed. A couple years ago during deer season (which runs for a couple months during some of the best biking times of the year), signs were posted strongly discouraging hikers, runners, and cyclists from using the deeper woods trails on hunting days. So I would do all my trail riding on Sunday. 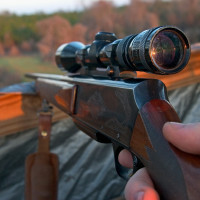 If those lands were opened to hunting 7 days a week instead of 6, things would get complicated, and there might be pressure to completely close some lands to hunting in order to give hikers, runners, cyclists, and horseback riders somewhere to go. I’m not sure what the best solution is, but I would hope that hunters do at least consider that aspect of things and try to come up with a solution that works for everyone. Yes, it wasn’t for hunting. But I think that Jews or Muslims might have a strong case that the Sunday ban favors a particular religion. And quite a number of Christians too. If I can’t hunt on Sunday, I can’t hunt. I have a job and a family to provide for so I can’t easily take weekdays off to go hunt, so Sunday it is. What’s with the First Amendment thingie about “Freedom of Religion”? As has been previously mentioned, not everbody in this Melting-Pot considers Sunday as the approriate “Day Of Rest”. The impetus toward defining Sunday as Sacrosanct seem less than the “Multicultural” environment that America is so proud of. Were I a Seventh Day Adventist, for example, I would be inclined toward challenging to court which allows hunting on Saturday, but forbids it on Sunday. Blue Laws went away decades ago. These people need to re-read their Constitution. I have been reading through all the Revolutionary era statutes. (All of them — it is often fascinating.) Prohibitions on Sunday hunting usually prohibit fishing, horseracing, and a variety of other forms of entertainment. At the time, there were not many Jews in the U.S., and there were no Saturday Sabbath Christian denominations yet. There was a certain logic to this in a Christian nation. Obviously, not in a post-Christian nation like America is today. I wonder if Judge Kane was aware of the Anti-Federalist dissent to Pennsylvania’s ratification of the US Constitution. Justice Scalia referred to it in his opinion in the Heller case. It included both a right to keep and bear arms for hunting (among other reasons) and a right to “fowl and hunt in seasonable times” as part of what they thought should be in a Bill of Rights. I disagree very much with the opinion. While I am obviously not a “Fudd” I believe the right to hunt was mentioned in some early “Right to Bear Arms” provisions in some states, along with the militia purposes- exactly as John pointed out! Yes, it IS mentioned in SOME state constitutions. even some current ones. So. . . what are you trying to say here? It was being challenged under the federal Constitution, not any of those state constitutions. And the federal Constitution has never listing hunting as an ennumerated right.